Luxembourg is a small country but it seems there is a lot of fans there. Luxcon was visited by ~5000 people (including organization team, volunteers and vendors). 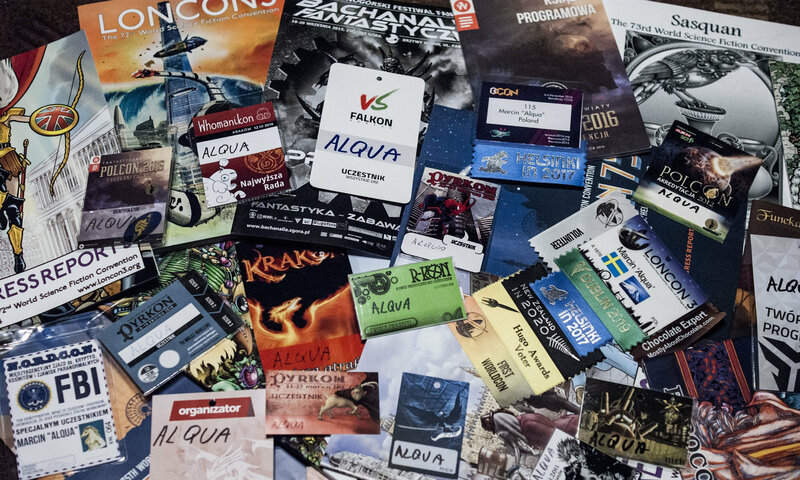 It is a vast amount of people and for me, the convention was more similar to media cons/multigenre conventions than to standard SF conventions. I was surprised by many things and for sure I need some time to think it over. Still, here is what happened at the convention. Lajconik is a small convention devoted to tabletop Role Playing Games. For the first time it took place in 2011 and in the beginning it was not held regularly. Over last few years it has taken place around March/April. 2017 was not an exception and I again got a chance to participate in this lovely convention. I like it very much for a few reasons but the most important one is the atmosphere.